“Ihdinas Siratal Mustaqim” means: Guide us to the straight path, the path of Islam (total submission to the will of Allah), the path of Iman (faith), the path of Ihsan (where we worship Allah as if we see Him and if we cannot accede to that level then at least we realize that He sees us), the path of Taqwa (piety) as we strive to accomplish and be present in all that which Allah has commanded us to do and absent in what Allah has forbidden us to do with our mind, eyes, ears, mouth, feet, hands and every part of our body. Allah teaches us to ask Him such a path so that we may be among those who are successful in this world and the next. And if, by the grace of God, someone comes occasionally from Him to show us the right path and guide us, and he happens to possess by God’s grace knowledge of the unknown, how do we call him, if not by the title of prophet of God? Calling him a Muhaddath would be contrary to the dictionary meaning given to the word tahdith, word that forms the root of the word Muhaddath. Tahdith does not mean revelation of the unknown. On the contrary the word Nabuwwat has such meaning. The word Nabi is common to Arabic and Hebrew, and it is derived from the word Naba which means being endowed with divine revelation and the power of prophecy. To become an apostle of God it is not always necessary to be His Messenger or bearer of a new law coming from Him: One just needs to know the secrets of the unknown. At the heart of the Indian Ocean, at latitude 19°43’ S and longitude 63°25’ E, Rodrigues Island stretches over a surface area of 108 km2, some 650 km to the north-east of Mauritius. It is the part of Africa that is closest to Australia. 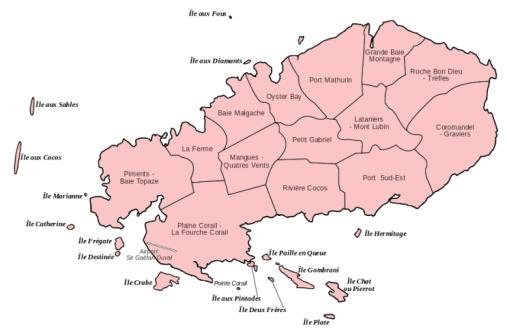 Born from volcanic activity between 1.3 and 1.5 million years ago, the island – 18 km long, 8 km wide – is the smallest of the Mascarene archipelago. Rodrigues is a mountainous island with a succession of valleys plunging to the 300 km2 lagoon. Its population is now around 39,500 people, the majority of them are Christians and they work as fishermen, traders and craftsmen. Rodrigues Island is till date a dependency of Mauritius, though Mauritius has given it an autonomy whereby some decisions are taken in the Regional Assembly of Rodrigues. 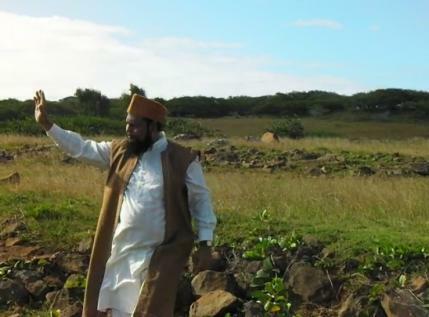 Alhamdulillah, Summa Alhamdulillah, the Messenger of Allah arrived in Rodrigues in the morning of Saturday 09 August 2014. 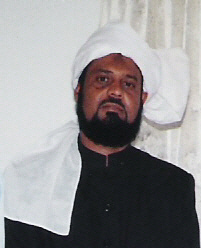 As in his habit, losing no time, the Khalifatullah (atba) after briefly refreshing himself launched into Jamaat works. 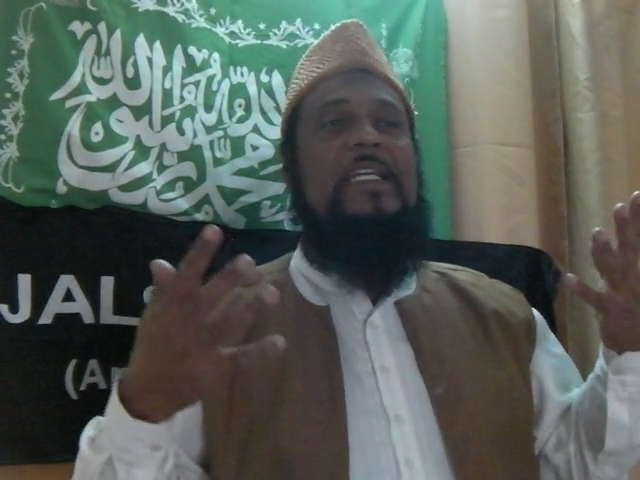 A special meeting was held with the members of the Jamaat Ul Sahih Al Islam, in view of the Jamaat projects planned and also concerning the activities of the Jamaat during the stay of Huzur (atba) in Rodrigues. Allah (swt) has several beautiful names. These are the attributes that He possesses. I shall mention briefly two of these attributes: Al-Khafidh, which means the One who humiliates and, Ar-Rafi, the One who elevates. Almighty Allah has the capacity to degrade/humiliate someone or to elevate him, raising him in position. It is Almighty Allah who has the power to degrade someone by dishonouring him and to elevate him and making him honourable. Man is ever changing. He does not stay the same. There is a time when he is young, courageous and solid, and after the passage of time, he becomes unrecognizable. You may see that his courage has disappeared and he has lost his charm. In the past people used to need him and rush to him, and now nobody knows that he exists. Dreams become reality and reality becomes a thing of the past. 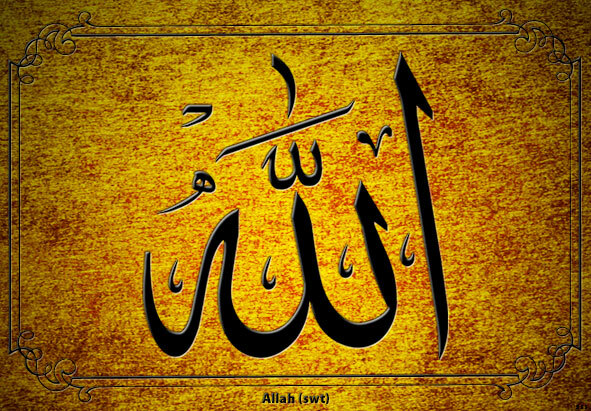 Therefore, there is the high and low in life, and all this is found in the hand of Allah the Almighty. Do you know who you are? All the noises/publicity/boasting that you are making… you can be a Minister, Prime Minister or a King. You can be whatever you want to be, but do you know that you are a slave? All the bossing around that you do, but verily you shall always remain a slave. You shall live like a slave and die as a slave. You shall never succeed in liberating yourself from that slavery. What remains to be known is what kind of slave are you! If you are not a slave for ALLAH, then you must be in a way or another, a slave of another thing/person. You can become slave of your passions, desires and vices. Then, if you have to be a slave, why do you become a slave for another slave? Why do you become a slave who makes you become the worst of slaves? ... I have chosen to talk/explain today on a never-ending subject. I can say that if the ocean was ink and all trees in this world and the universe were pens and the sky and earth were papers, therefore all these would have come to an end but not the commentary of the Surah Al-Fatiha. This is because of the high importance of this chapter in the life of a believer, and this chapter is the first chapter of the Holy Quran. It is so important that one has to start with the Surah Al-Fatiha when he begins his prayer (Namaz/Salat). 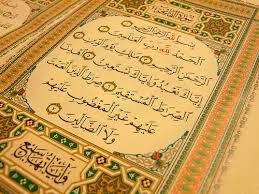 And to start supplications (duahs) to Allah, the Surah Al-Fatiha needs to be recited first. This is because of the nature of its greatness as a chapter and duah. In whatever situation a person may be, be it a difficulty, an illness or a state of suffering or any other problems he finds himself in, therefore he needs to recite the Surah Al-Fatiha. By the grace of Allah, today 22nd August 2014, I have thought about explaining a bit again on this very important chapter – the Surah Al-Fatiha. I know that there is no end to the commentary of this Surah. Centuries after centuries after my advent, there shall come many more divinely-sent reformers (Mujaddid), caliphs of Allah (Khalifatullah) and other Men of God who shall keep on explaining on this chapter, Surah, which is the Surah Al-Fatiha. The word “Fatiha” comes from the verb “Fataha”, which means in this context “to open”. 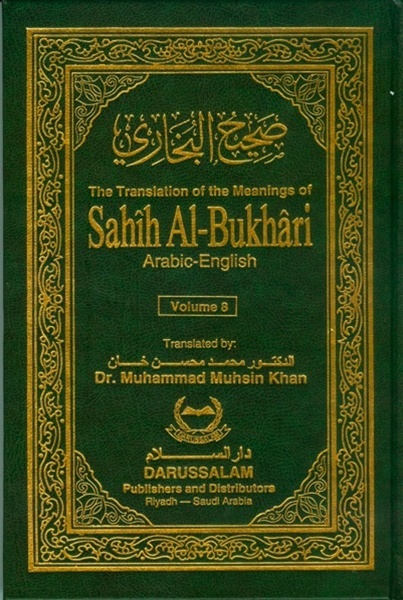 “Al” is a defined article and Fatiha (feminine here because it refers to the word Surah which is feminine in Arabic) means the opening Surah, which starts the Quran because it is that Surah which comes first in the Quran, that is, when you open the Quran, it is that very important key which is required to open the Quran. It is also important as a key to open your heart to your Creator, to show the great extent of love which you have for Him and which enables you to recognise your Lord (Allah) as the Master of the Day of Judgement. And it is Him whom we worship and to Him alone we beseech forgiveness… In addition it is with the Surah Al-Fatiha itself that we are able to open our Salat/Namaz (prayer). 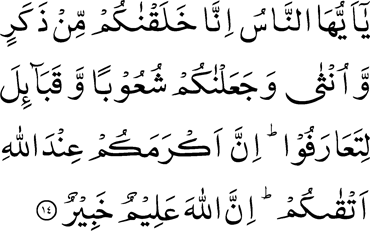 It is the first Surah that we recite in the Salat. It is not enough to simply pronounce the Shahada to become a Muslim completely. It also requires conviction and resolution by applying the decrees that God has provided for His servants. It is then that the Muslim community shall realize the importance of brotherhood and unity in Islam. This unique form of union that Islam prescribes is the backbone of any society. The very basis of citizenship is universal brotherhood in piety. Brotherhood in Islam translates to “community”, “nation” or “people”, and includes people of different temperaments, different qualities, different races, languages ​​and histories, but who are nevertheless united at the heart of servitude to Allah the Exalted. We received a single instruction, and we were ordered to live within a single religion, and so our goal should be distinct and unique, propagating or serving the oneness of Allah the Exalted, the Almighty. The ideal Muslim community is one that is happy, far from doubts, anger, jealousy, and not affected by hypocrisy, pride and hatred. Abdullah ibn Umar reported that the Messenger of Allah (peace be upon him) said:“A Muslim is the brother of another Muslim. So he should neither oppress him nor hand him over to an oppressor. And whoever meets the needs of his brother, Allah will meet his needs.” (Bukhari). The Quran and Sunnah emphasized the eminence of brotherhood. It is the key to the door of social success. Therefore, as Muslims, we have the responsibility to build our society according to the principles of the Messenger of Allah (peace be upon him) who defined for his community an ideal way of life and a perfect model of community maintenance. We must live in accordance with the Sunnah which orders us to be kind to our brothers and sisters, to be tolerant, humble and supportive to achieve peace and success. It is the key to the door of achievement. Brotherhood is the emblem indicating our superiority over other communities. If we are all facing in the same direction in life, our mutual support will be added to our winning probability. Unity is strength, builds confidence and prosperity. Therefore, Muslims around the world should not be driven by carelessness and indifference to his brother, far from it! Mutual support and cooperation should be the moral principle by which Muslims relate to each other. It is then that the binding of hearts shall come out stronger and protected. Taqwa is a quality or character (or way of being) which enables a person to live according to the Shariah (Islamic Laws). It regulates his entire life according to the divine commandments, by enabling the person to follow or imitate the blessed behaviour and practices of our beloved prophet, the noble prophet Hazrat Muhammad (pbuh). The one who inculcates this quality in him in a permanent way is called a Muttaqi (God-fearing/pious, righteous person). That is why we also call him Deendar (devout, religious) or someone who is very serious in matters of Deen (meaning to say, religion, particularly, Islam). “Whoever does righteousness, whether male or female, while he is a believer - We will surely cause him to live a good life…” (16: 98). As for the difficulties he experiences, these are only easily surmounted difficulties, easily resolved because he knows that life on earth is only temporary/limited. Therefore, he knows that the problems also are temporary. (In his perspective) knowing that the problems are temporary is in itself a great relief. Being a Muslim, he knows that come what may, all situations that he undergoes are what Allah has decreed for him. Rabbih-kum bil-haqq! Wa rabbunar-rahmanul musta-'aanu 'aala maa tasifoon. 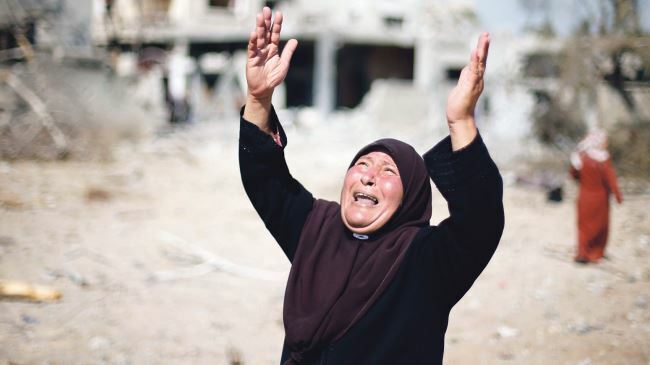 The month of Ramadan, as well as the Eid festival and these difficult days witnessed to a deep sorrow for I could not from my mind those pictures of small innocent Palestinian children killed by the Israelite army. During the month of Ramadan I was terribly overthrown with the shocking pictures of innocent children torn down by bombs. How can we think that is no problem in Muslim countries when each day, in front of your eyes, parents are carrying the coffins of their children? How can we celebrate festivals, eating and drinking and enjoy ourselves when all these people, all these families have nothing to eat and drink, have nothing with which to clothe themselves properly, have no place to accomplish their Salat (prayers) and not even water to drink and make ablution (Wu’zu)? These are mourning days for me. I ask myself how the Nobel Prize could have been given to Barrack Obama who is a passive accomplice of this tragedy! We should have a special thought for all these Palestinians who are being killed daily, dying as martyrs under the bombs of the Israelites. 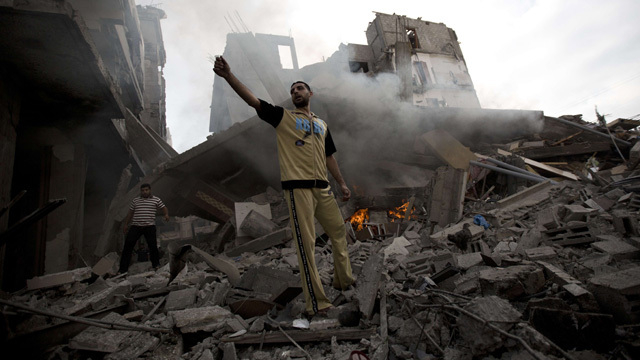 There are lessons to be learned from the tragedy of Palestine. While Palestinians are dying without food, their rich Arab cousins ​​in Dubai and Kuwait are competing to build the tallest skyscrapers in the world. Where is the unity of the Ummah ? Arab countries keep a low profile, watching like spectators. Previously it was said that the Ethiopians were searching in garbage cans for food. Today the Libyans, Syrians, despite living in rich countries search garbage cans for food. There is the absolute need to recover the lost unity. Divided like this, the Arab countries are getting trampled upon. 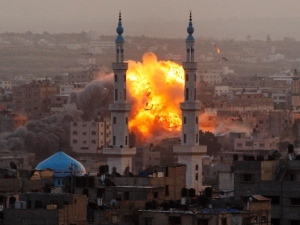 I personally cannot help being deeply upset, shocked and confused, throughout the month of Ramadan by the events in the Middle East.